And also those who have waited on a stiflingly hot platform on a sunny afternoon at one of the smaller stations will know how air conditioned and welcoming and civilised the staffed buffet appears as the train pulls in - the hallmark of long distance inter city travel. Immediate relief is at hand in the form of ample stocks of cold beer and soft drinks, or spirits with ICE and a chilled mixer. A trolley with a limited choice of room temperature beverages is a significant downgrade, if at appears at all. I meant my comment in a joking way, sorry if misunderstood. I do agree that a buffet provides a warm welcome and more of a long distance feel. The micro buffers do not live up to the “buffet standard” in my opinion, feeling overcrowded. Though a buffet is still better, and would probably provide better food options. Joined the inaugural service through Cornwall today travelling from Plymouth to Penzance and back. Absolutely swarming in the western section of the train with GWR staff, managers, contractors and Hitachi representatives. I'd say at least ten GWR counting the customer hosts. I'd assume the eastern section was similarly staffed. No problems at all. Some minor jobsworth activity at PZ gates trying to ensure only ticketed individuals made it onto the platform (1) though, those excluded hopped around the station to view via platforms 3 and 4. As for the trolley, no real problems the coffee was very good, when served on the return journey. I'll give it another go in a months time and see how it rolls with less attention being offered. I would be a bit surprised if much went wrong during a high profile inaugural run. It remains to be seen how well the new units will work in daily service. The present state of Cardiff services is not a good omen. Will there be mass short formations to allow for staff training ? And more short formations due to withdrawals of the present stock outpacing delivery of the new ? And yet more short trains whilst clogged and inaccessible radiators are cleaned, and whilst the reservation system and PIS is made to work. Absolutely swarming in the western section of the train with GWR staff, managers, contractors and Hitachi representatives. I'd say at least ten GWR counting the customer hosts. I'd assume the eastern section was similarly staffed. No problems at all. …………...wonder if that was why there were peak cancellations due to "staff shortages" elsewhere? And it's not just in Cornwall that 802s are now in passenger service - I came across a pair at Reading on 1C89 (16:33 London Paddington to Exeter St Davids). 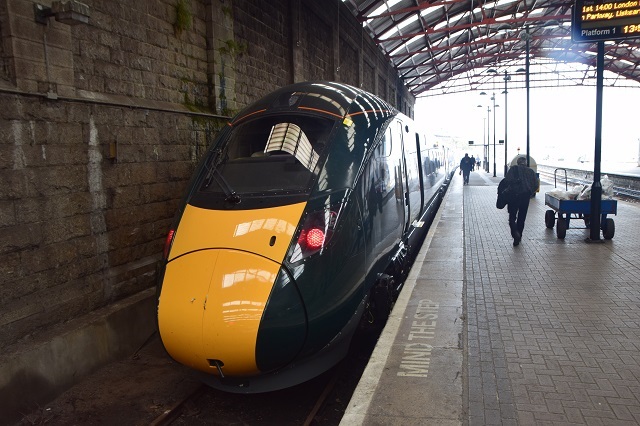 The first Class 802 in passenger service was 0645 Bristol TM-Swansea on Saturday 18th August. One would suspect (hope) that this becomes a much less common occurrence as more 9-car sets come into service. They should have been first of course, but the reasons why they weren't have been done to death on here. Another positive factor for the W o E services is that the HSTs currently in use have not been promised elsewhere. 802 006 (London end) and 802 007 were the first to make the run from London Paddington to Penzance in passenger service today. I joined the down trip at St Erth and then came back up on its return working as far as Reading. Having just over 30 minutes in Penzance meant a brisk walk along the coast path to get one of the photos below. So on a humid day like today I was pleased to note the air conditioning was some of the best I have known on an IET - but it may have been too cold for some people's taste. It came at a price too - the units do seem very noisy which is a shame when the train is otherwise quieter than an HST. The reservation system was working and there were frequent announcements about what the red, amber and green indications mean. I noticed several people trying to press the colour indications as if they were buttons. I am not sure what they expected to happen if indeed they were buttons. The colours changed throughout the journey according to the reservations held for a particular seat. However for some reason all the displays went blank somewhere between Taunton and Reading. Not sure why but I don't suspect it was much of an issue as you don't get many reservations from Reading to Paddington in the early evening. I was in the middle coach of the front five and on the vexed subject of catering I saw the trolley twice. 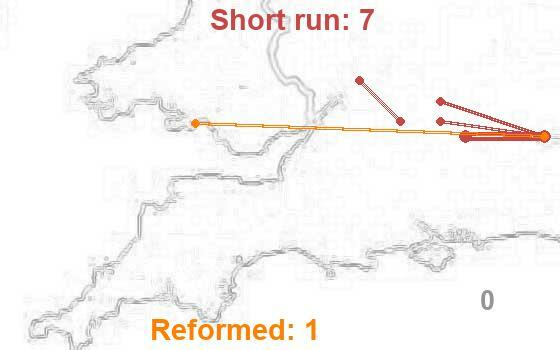 Once around Par, the second time at Totnes. However after a catering crew change at Exeter St Davids it wasn't seen again. I am not sure if that was because there was no one to take over or some other issue. I didn't hear any announcements. Having said that, I bought a total of two cans of cider, a sandwich and a packet of crisps from the two visits which is what I probably would have bought during the course of a similar journey from a buffet on an HST so I didn't personally feel short-changed. Something which will need watching is passengers for Liskeard on journeys towards Plymouth. Only the front five coaches can be platformed so passengers in the rear five have to be warned at the previous station, Bodmin Parkway, to move forward. The quality of the ride was good throughout Cornwall, Devon and Somerset but after Cogload there were three bits of rough riding. Two between Athelney Crossing and Frome and one near Newbury. I have noticed the quality of the ride along the Berks & Hants deteriorate in recent years on HSTs - it seems the 802s just accentuate it. As to the seat quality, I have already said before I don't seem to find the same problems as many others have reported. Having sat in the same seat for nearly five hours I didn't have any issues - but I accept I may be in a minority. 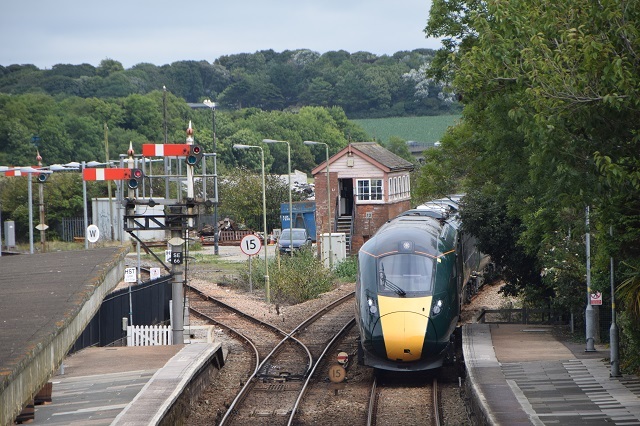 There seems to be issue at the moment across GWR where IET's are being decoupled and re-coupled and are running as 10 cars. But the plan is eventually that at Plymouth the 10 cars will split, 5 going to Penzance and 5 terminating. So the issue you mentioned won't be for long. Except for the summer when 9 car IET's will operate instead. The Berk & Hants line does seem to be having issues with rough rides, no idea why as im sure the Flying Banana is meant to pick it up. 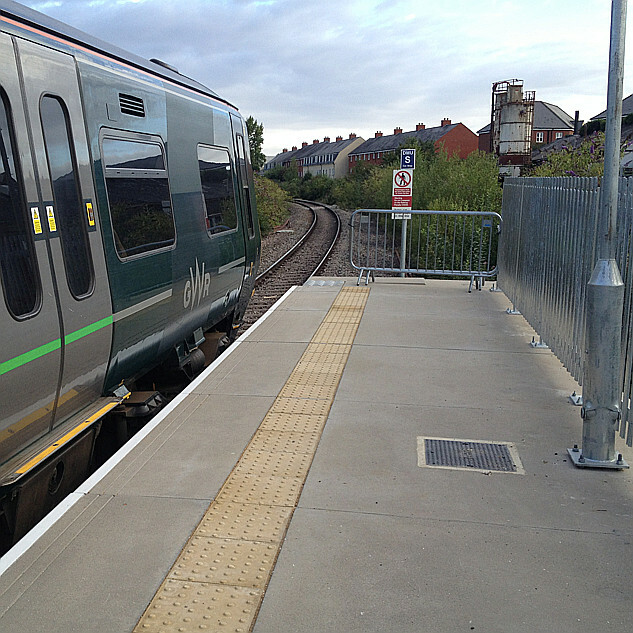 Nine cars will not be a problem at Liskeard as you can walk through the whole train. It is when it is two separate five cars you risk being overcarried. There's been a lot going on ... and I think I may have missed something in my reading up. 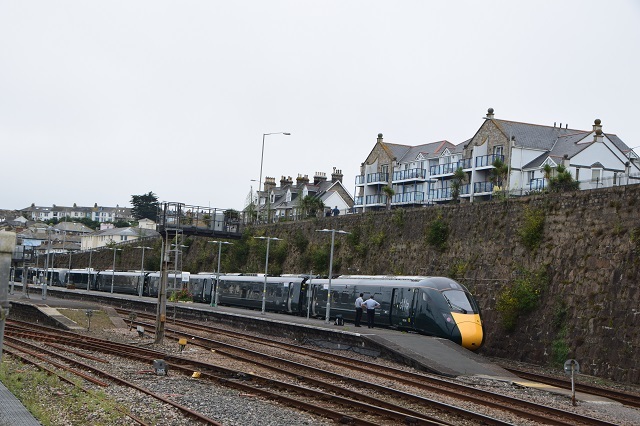 Is there a plan to switch 9 and 5 car duties around every summer to provide more seats through Cornwall? If so, does this mean that 9 car sets used (perhaps) on London to Oxford will be swapped for 5+5, with five cars headed on though Evesham during the summer rather than 9 cars bearing in mind reduced commuter demand in the holiday season? The B&H ride track quality has been getting worse over the past few years, even on an HST. I used to commute weekly from the far Southwest to London (and back, of course) and the Up Line has always been the worst of the two. Although I haven't sampled one of the IETs along there yet, Im sure its still going to be poor trackwise.